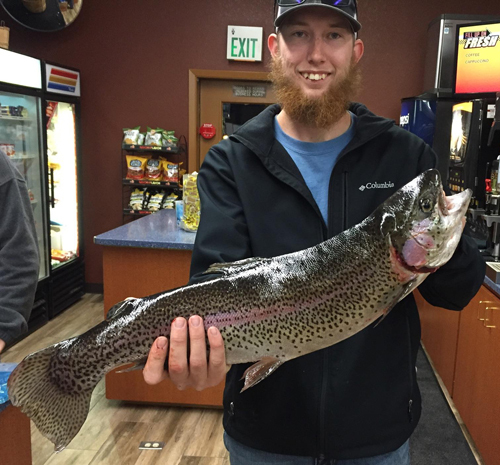 Jimmy McKinney from North Carolina caught a nice 5 pound 9 ounce 24 inch rainbow trout. Ginger Buzzard from Topaz Lodge checked in the morning with an update from week 13 of the Topaz Derby. Hello Everybody! This weeks big winner was Jimmy McKinney from North Carolina. He Caught a 5lb 9oz 24in. As you can see in the photo it was a nice fish. He caught in from the shore with a worm. 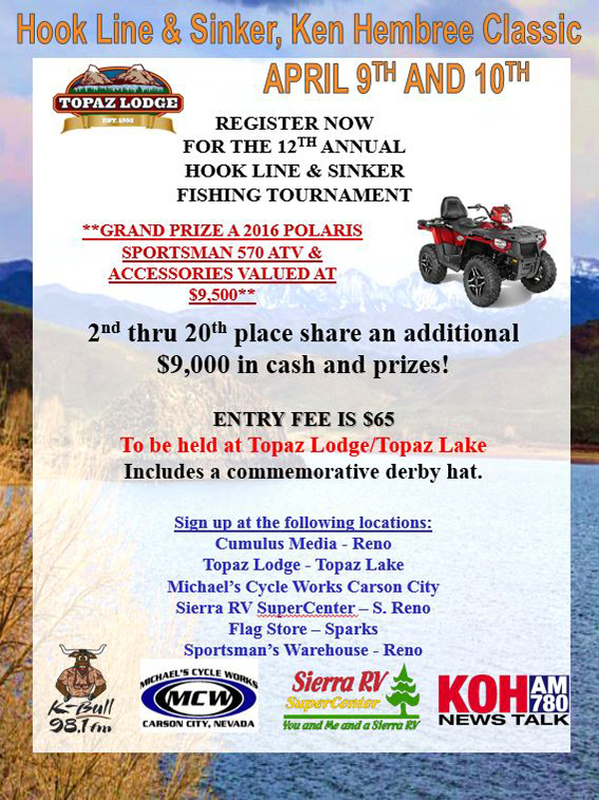 We had a tie for 2nd place with Ron Wilson of TRE and Robert Lekumberry of Sparks NV. They caught a 3lb 4oz 19in. This week tops off at 654 fish caught over 2lbs with only 15 brought in this week. Don’t forget the Ken Hembree Classic Hook Line and Sinker Derby on the 9th and 10th of April.